Excellent, just what I wanted to hear. All the items ESET found were already neutralized and quarantined, and only one item needs attention in security check. Please read this article about Java. 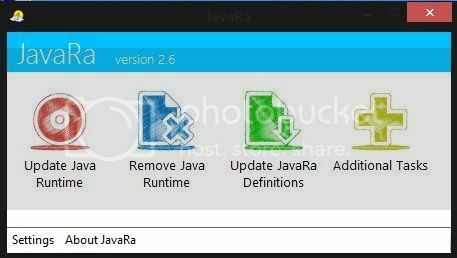 Once done then run it again and select Update Java runtime > Download and install Latest version. Once you've completed this, please let me know. We have some cleanup procedures to go through and I think you'll be good to go. Alright I have uninstalled Java. Let's clean up my tools, and create a new, clean restore point on the machine. 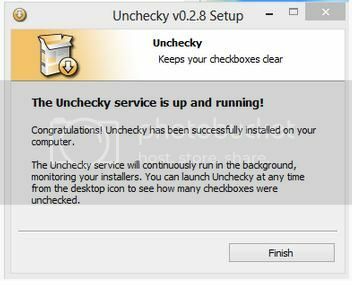 I also have some information on how to help prevent infections and a neat little program called UnChecky as an optional install. Install and keep only one anti-virus on your machine. Update it and scan your machine with it at least once a week. When installing new programs, don't be "click happy" and click through the screens. Many programs come with adware in them and are set to install them by default. 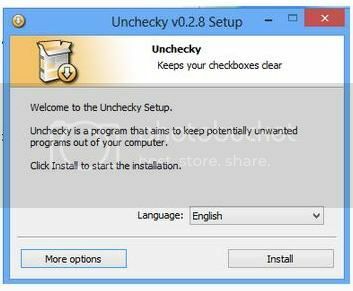 Several programs require that you uncheck or select no to prevent the installation. Take your time and read each screen as you go. Looks good, and looks like a clean bill of health. How's the machine running? Seems to be running perfectly now! That's good news. I'll go ahead and close the thread in a little while. If you need us again, please don't hesitate to come see us again. Thanks for all your help man! I will spread the word! You're very welcome. Also, thank you for the donation. That is very kind of you.